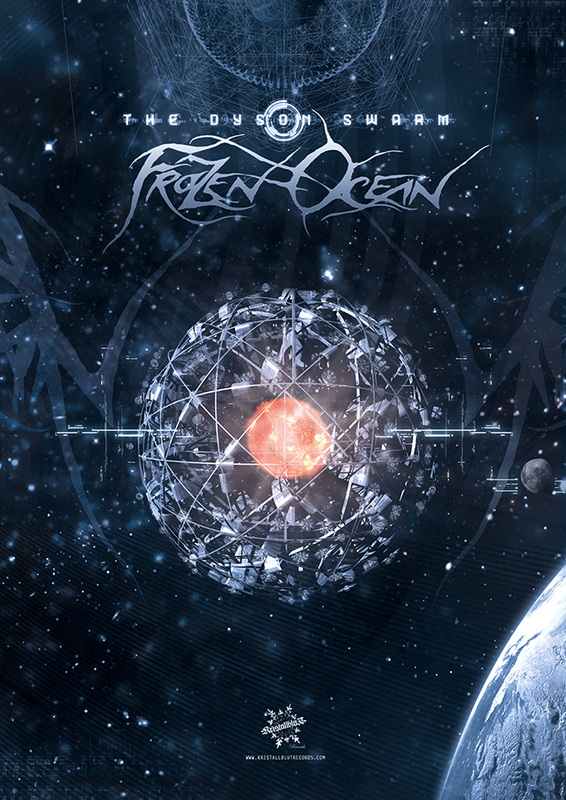 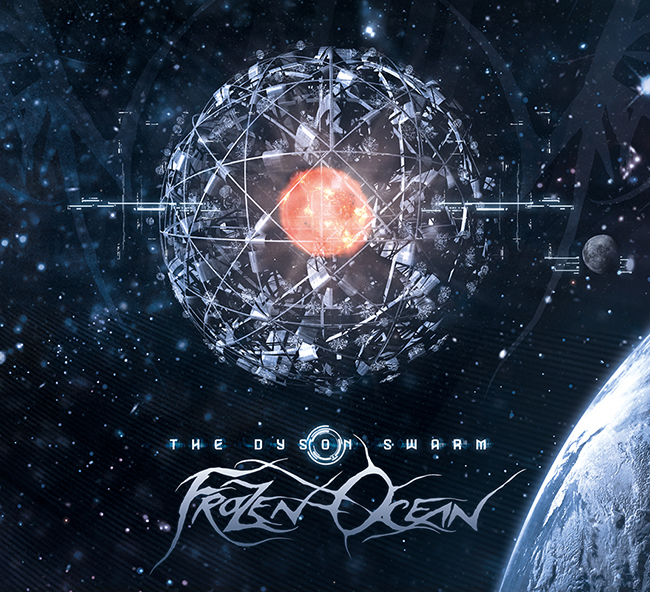 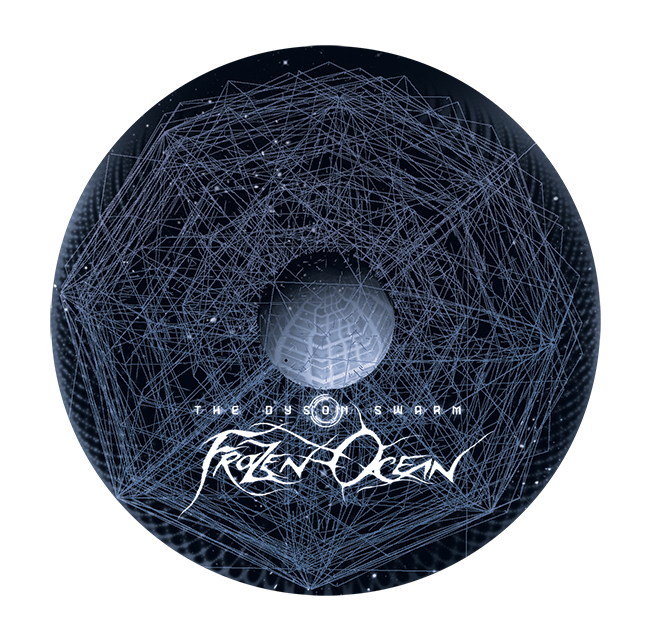 Artwork for the prolific one band man, Frozen Ocean (Moscow, Russia). 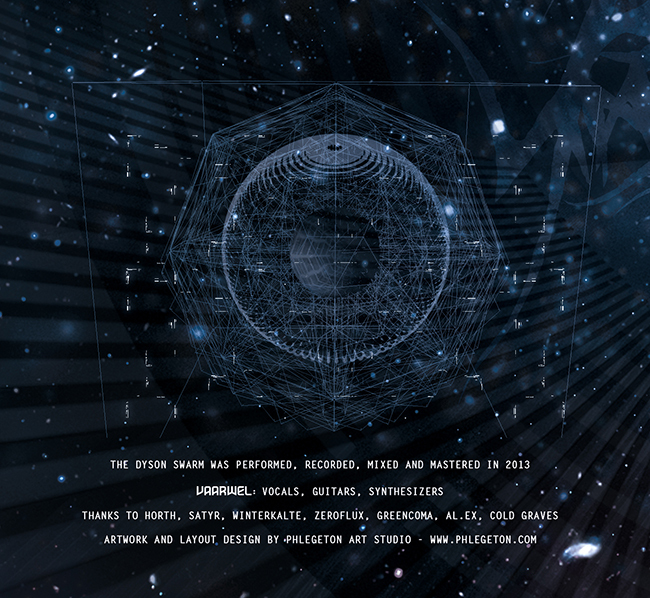 An epic space narration about close and outer space and humanity’s place in it, “The Dyson Swarm” is expressed in electronic ambient dark metal style, pretty melodic and though experimental. 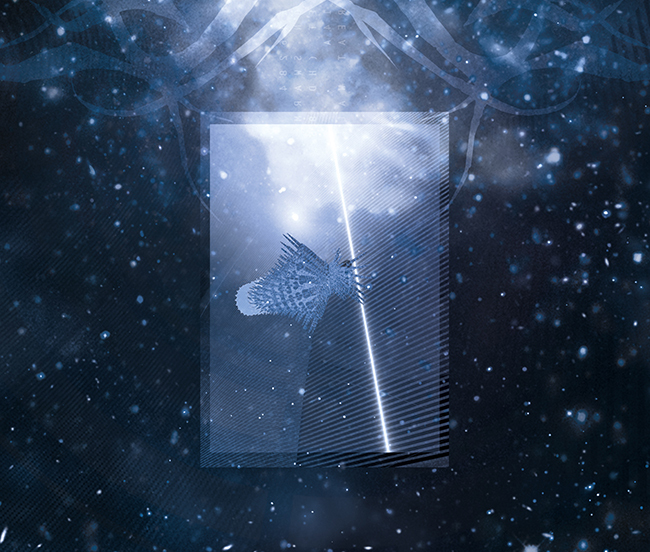 Will be released very soon through Kristallblut Records from Germany. 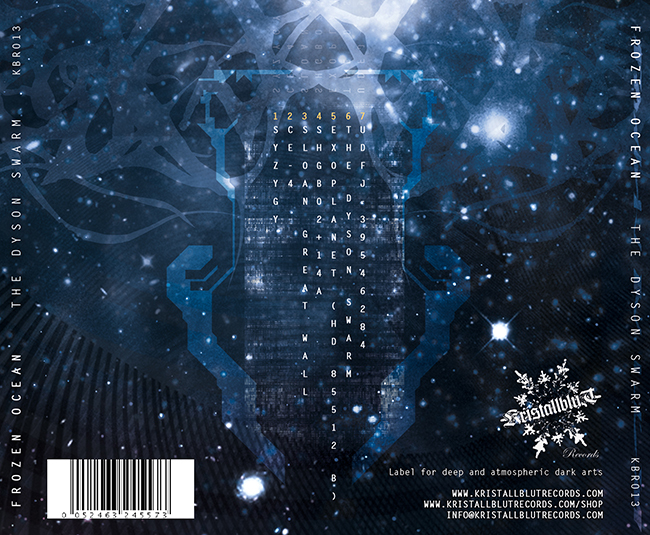 Tags: ambient, artwork, black metal, dyson swarm, electronic, russia, sci-fi.